China tops the rankings as the world’s largest producer of gold, with Chinese mine output totalling 453.5 tonnes of gold during 2016. By 2020, the Chinese authorities aim to produce 500 tonnes of gold per year. The Chinese Ministry of Land and Resources in its latest mineral resource bulletin for 2016 claims that China has identified in ground gold reserves of a huge 11,563 tonnes of gold. Specialist detachments of China’s Army known as the Armed Gold Police Force are active in the geological surveying and exploration for gold across China. Since their inception in the late 1970s, this army unit has been responsible for the initial discovery of 1800 tonnes of gold. As well as being the largest importer of gold in the world, and the world’s largest consumer of gold, the Chinese gold mining sector is the world’s largest national gold producer. According to the China Gold Association, China produced 453.5 tonnes of gold from mining operations during 2016, maintaining its pole position as the world’s largest gold producer for the 10th consecutive year. Most of this gold production comes from direct gold mining, however, about 10-20% results as a byproduct of other non-ferrous mining. Domestic gold mining is China’s second largest source of gold supply after gold imports, and mining supply, together with gold imports, drives the supply side of the Chinese Gold Market supply-demand balance. Chinese annual gold mining output has grown by 62% since 2007, and first exceeded the 300 tonne level in 2009, followed by the 400 tonne level in 2011. By 2014, it had reached a record 478 tonnes of gold output. In early 2017, the Chinese Ministry of Industry and Information Technology stated that the nation plans to boost annual gold output to 500 tonnes per year by 2020. This would mean gold production growing by an annual average 3% over the 2017-2020 period. However, judging by the first half of 2017, during which China’s gold production dropped to 206.5 tonnes of gold, the full year figures for 2017 will most likely be lower than in 2016. Although the 2017 US Geological Survey (USGS) mineral commodity summary gold report states that China only has in ground gold reserves of 2000 tonnes (and the USGS has not updated this figure since 2009), the Chinese Ministry of Land and Resources circulates far higher figures. In a June 2015 presentation to a LBMA conference in Singapore, Zhang Bingnan, Chairman of the China Gold Association claimed that China had 9816 tonnes of in ground gold reserves. Bingnan was sourcing his figure from the Chinese Ministry of Land and Resources which releases “China Mineral Resources Bulletins” each year. The 2015 bulletin had included this 9816 tonnes of in ground gold reserves as of year-end 2014. Notably, this figure has now been updated even further in the 2016 mineral resource bulletin which now claims that at year-end 2015, China has a huge 11563.5 tonnes of identified in ground gold reserves. The Ministry of Land and Resources also claims to have discovered an additional 1130.3 tonnes of gold reserves during 2016. In October 2017, the China Gold Association said that as of the end of 2016, China’s proven in-ground gold reserves had reached 12,100 tonnes. China National Gold Group Corporation (CNG) is China’s largest gold producing conglomerate. CNG is owned by the Chinese state and it reports directly the central government in Chinese. Notable, CNG is the only Chinese gold mining company to be a member of the World Gold Council. Companies under the CNG group umbrella include the domestic mining company, the group’s international arm China Gold International Resources Corporation, and nationwide jewellery network Zhongjin Gold Jeweller. Zhongjin Gold, headquartered in Beijing, is China’s largest gold mining producer. and owner of the largest in-ground gold reserves of all Chinese mining companies. Its largest mine is in the Dazhuohan region and it also controls gold mining resources in the Shandong province and in other areas of China. 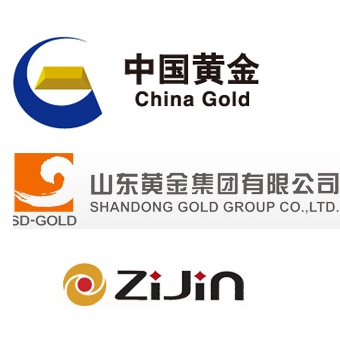 Zhongjin Gold shares are listed on the Shanghai Stock Exchange. CNG corporation holds a 39% share in China Gold International which is listed on both the Hong Kong and Toronto stock exchanges. China Gold International also controls 2 operating gold mines in China, one of which is an open pit mine CSH mine located in Inner Mongolia and the other is the Jiama open-pit and underground copper-gold and other mineral (polymetallic) mine located in the Tibet Region. Together these 2 gold mines have proven / probable reserves of 5.1 million ounces of gold (159 tonnes), and measured / indicated resource of 8.5 million ounces (264 tonnes). The Zhongjin Gold Jewellery subsidiary distributes gold in approximately 1,600 gold jewellery stores throughout China. These outlets sell CNG branded gold bars as well as other gold investment products. Shandong Gold Group is a state-owned company controlled by Shandong Provincial Government, and is named after the Shandong province in East China, which is located north-west of Shanghai. Shandong’s stock is listed on the Shanghai and Shenzhen stock markets. Shandong is one of China’s largest gold groups in terms of gold output. Shandong controls over 1000 tonnes of identified gold resources on the Jiaodong Peninsula, one of the most gold resource rich areas of China, and more than 1400 tonnes of identified gold resources overall. Four of its mine locations, each with over 100 tons of gold resources, are located in the Sanshan Island, Jiaojia, Linglong and Xincheng areas of Shandong. 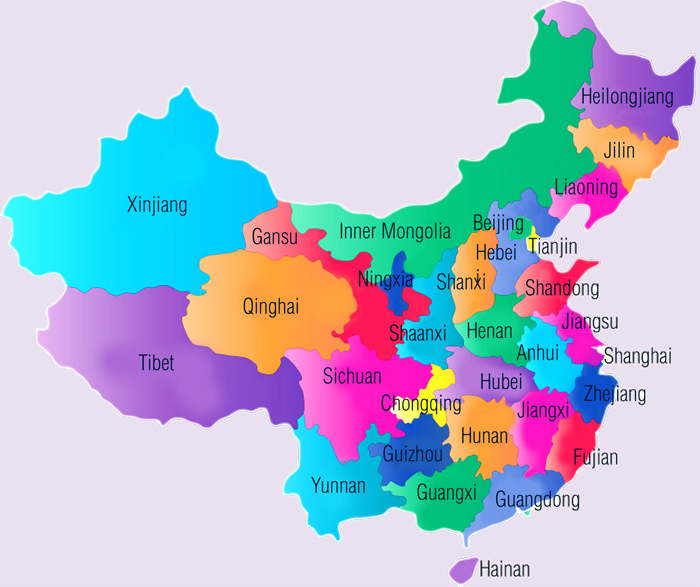 While most of the group’s gold resources are within Shandong, the Shandong Gold also controls gold resources in other areas of China and also outside China. Recently Shandong Gold discovered the huge new “Xiling” gold deposit near its Sanshan Island gold mine. According to Shandong, this Xiling gold deposit, which is still at the exploration stage, will in time produce over 550 tonnes of gold and will prove to become China’s largest ever single gold deposit. Zijin Mining Group, one of China’s largest mining groups, controls mineral assets across gold, copper, iron ore and other minerals. The group is involved in exploration, mine development, mine production and refining, and has over 1350 tonnes of in-ground gold reserves/resources. Zijin’s gold mines include the open-pit Zijinshan Gold & Copper Mine in Shanghang which contains one of the largest gold deposits in China, the open-pit Liba gold mine in Gansu province, the Shanggong underground gold mine in Hunan province, and the Dongping gold mine in Hebei province. The group also has a 70% ownership in the Yinhui Gold Refinery located in Hunan province. Zijin’s stock is listed on both the Shanghai and Hong Kong stock exchanges. Hunan Gold Corporation, is headquartered in Huaihua in the southwestern Chinese province of Hunan, hence the ‘Hunan’ name. Formerly known as Chenzhou Mining Group, the group changed name to Hunan Gold during 2015. Hunan is involved in exploration, mining, processing and smelting of non-ferrous metals including gold. Gold bars / ingots produced by Hunan are fabricated under the Chenzhou brand name. The Chinese Armed Gold Police Force is a special division which is tasked with gold and other mineral exploration across China, including geological gold surveys, drilling, and prioritising areas for exploration focus. In short, its main task is to “find gold for the country”. Established by the then Chinese Premier Zhou Enlai in the late 1970s to identify gold resources within China, the plan was implemented by using engineering and construction detachments of the Chinese armed forces (People’s Liberation Army) to do the actual surveys, exploration, and subsequent mine construction. Since its establishment, this Gold Army group has helped find over 1800 tonnes of gold within China.